The "Arrangement in a Square Black Ceramic Container" is a sophisticated option modern design appeal. This black ceramic container paired with your floral selection will be a conversation piece that will elevate your flower collection. 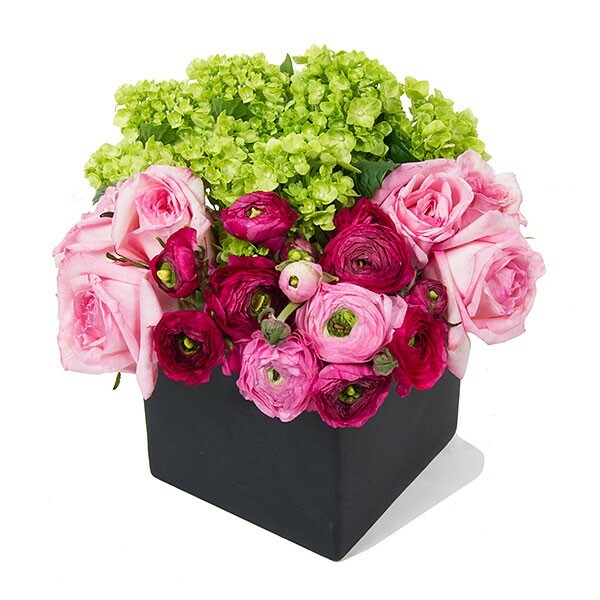 Our designers will arrange your floral selection in a way that accentuates both the flowers and the vase. This option gives you flowers that are ready to put on display right after delivery, no set-up required.